Brother Mitchell grew up in Hilton, New York, the eldest son to Burt and Diane Mitchell. He attended public schools, and prior to graduation from Hilton High School enlisted in the United States Marine Corps. Upon graduating he promptly left for his military service. After completion of his service in the Marines, he attended the State University of New York at Brockport. In 2000 he moved to Salt Lake City chasing dreams of the dot-com boom, specializing in information technology within the financial, medical, and federal government sectors. Currently residing in South Jordan, Utah with his wife Kathryn and their daughter Ainsley, Brother Mitchell remains a devoted family man, doting upon the ladies of his life. Brother Jason A. Mitchell received the degrees of Freemasonry in Wasatch Lodge № 1, F&AM of Utah, in 2002 and served as Worshipful Master of Wasatch Lodge № 1 in 2008. 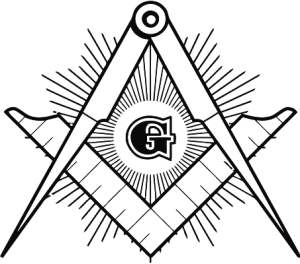 He became a 32° Master of the Royal Secret of the Ancient and Accepted Scottish Rite, Orient of Utah, in 2002, and coroneted a 33° Inspector General Honorary in 2013. His service in the Scottish Rite includes: founding the Utah Scots Guard (2005,), Venerable Master of the Lodge of Perfection (2008), Director of the Ceremony of Remembrance and Renewal, and Chairman of Education for the Orient. Not contented with only one Rite of Freemasonry, Brother Mitchell was Exalted a Royal Arch Mason, Greeted as Cryptic Mason, and Knighted into the Magnanimous Orders of the Red Cross, and of Malta, and of the Temple (Knights Templar) in 2003 in the Utah № 1 York Rite bodies in Salt Lake City, later serving as the Excellent High Priest (2008), Illustrious Master (2009), and Eminent Commander (2008) before being invited and initiated the Order of the Anointed High Priesthood of Melchizedek (2009), Order of the Thrice Illustrious Masters of the Silver Trowel (2009) and the Utah Past Commanders’ Association (2009) and ultimately the Knights York Cross of Honor (2010), culminating in the Knight of the York Grand Cross of Honor (2015). In 2012, Brother Mitchell became a charter member of East Denver Council № 425 of the Allied Masonic Degrees, later demitting and becoming a charter member of Simons-Behle Council № 544 (2014), becoming Sovereign Master thereof (2015) and ennobled a Knight Commander of the Red Branch of Eri (2016). Brother Mitchell was made a Knight of York of the York Rite Sovereign College (2012), is a recipient of the Knights Templar Cross of Honor (2012), and was initiated a Knight Companion of the Red Cross of Constantine (2014). Brother Mitchell is a charter member of Keystone Mark Master Masons Lodge № 00, where he served as the Right Worshipful Master for 2014. From 2008 to 2016 Brother Mitchell served in the Grand Bodies of the York Rite, being elected and installed the Most Illustrious Grand Master of the Grand Council of Cryptic Masons of Utah (2015), Right Eminent Grand King of the Grand Chapter of Cryptic Masons of Utah (2015), and Eminent Grand Generalissimo of the Grand Commandery of Knights Templar of Utah (2015). Brother Mitchell currently serves Chief Adept of the Utah College of the Societas Rosiucruciana in Civitatibus Foederatis and as Governor of Camp Floyd College #190 of the York Rite Sovereign College. Jan-14 Initiated a Knight Companion of the The Masonic and Military Order of the Red Cross of Constantine and the Orders of the Holy Sepulchre and St. John the Evangelist. Feb-15 Appointed charter Celebrant of the Utah College Societas Rosicruciana in Civitatibus Foederatis. 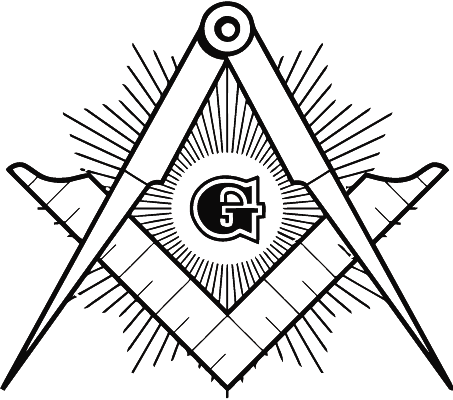 May-15 Elected and Installed as the Most Illustrious Grand Master of the Grand Council of Cryptic Masons of Utah, the Right Excellent Grand King of the Grand Chapter of the Royal Arch Masons of Utah, and the Very Eminent Grand Generalissimo of the Grand Commandery of Knights Templar of Utah.